I favor the Ouray/Silverton/Telluride area. There are sooooo many trails and things to look at. I've been to Durango and Cortez a number of times. 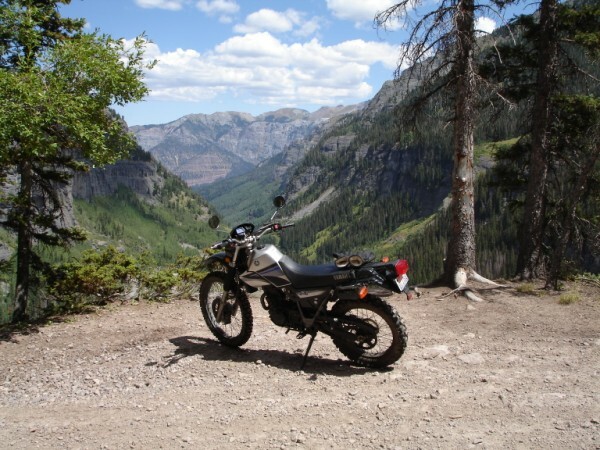 Once on a road bike (Honda 919 Hornet, CB900F) whereby I continued down to 4 corners, before turning back to Ouray. There is an interesting place I call the Mini "Tail of the Dragon" along the Dolores river...somewhat S.W. of Rico and just N.E. of the town of Dolores on Rt.38 (turning off of Rt.145)...on the way to the ghost town of Dunton. 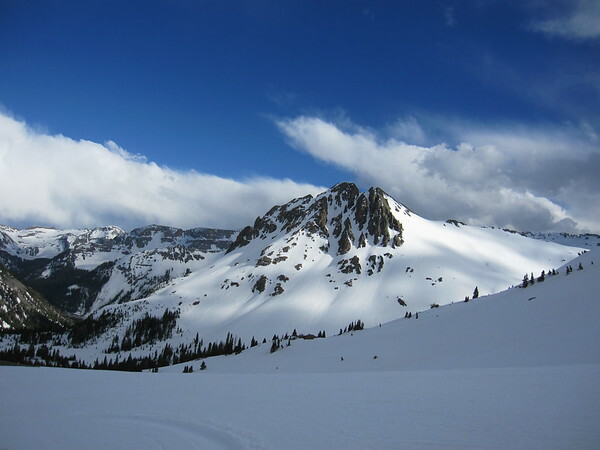 Great pics Muniac, incredible the amount of snow up there. We still see a few packs of snow here but only where the sun don't shine at all. Are you able to ride your bikes in some area where you live or still to much snow ? Jon - We can ride in a lot of lower areas. Peach Valley and the Black Ridge are all open. Yankee Boy Basin has been plowed to the vault toilet so that's a ride. We're still skiing up at elevation. Lots of BIG mountain terrain still covered with snow. Did a run yesterday and climbed about 1200' in 1 mile. Hit 70-80 MPH gusts in one of the basins near Blue Lakes Pass. Wind funneling effects. Just about knocks you off your skis. Probably can ski into June around here. Glad you're enjoying the pix.